Tonight is Ist Ist's night. Their biggest headline show to date under the railway arches at Gorilla and they deliver their best ever set, forty-five minutes long, eleven songs of brutal raw power mixed with moments of sublime subtlety in front of a packed house. 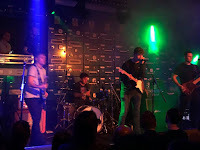 It's also support bands Control Of The Going and Urban Theory's biggest gigs to date and both won themselves a whole new batch of admirers with sets that felt right at home in this venue. Control Of The Going open up proceedings with a set taken from their forthcoming debut album I Love You, But It's Going To Rain, starting off with the glorious Family, a song about the importance of a community in the music scene in Manchester, something that's no more appropriate than tonight where it feels like the city's underground is starting to rise again. Family is one of the album's highlights, a glorious romp of a song made for long open-top drives on the highway, nodding to Brian Jonestown Massacre in parts, but acting as their own calling card. 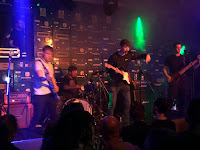 Sell Your Soul is more dense and claustrophobic in its approach, the six-piece coming together and closing in on the listener, leaving them unsure of the band's next move. 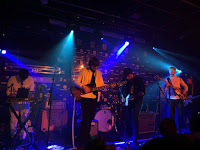 Love You More displays a real love of melody that runs through the song, guitars soaring, drums almost tribal in punching their way through, a magnificent couple of key changes mid-song to throw the listener before landing back in its groove. 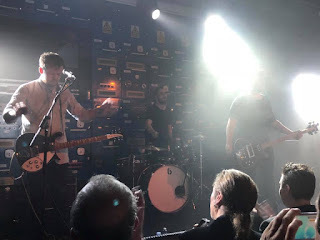 It segues effortlessly into War Crime, another song like Star that follows it, that shows Control's love of sculpting their songs around big guitar hooks, and with three guitarists in the band, that's ultimately no surprise. At points they rise in unison, at others they're almost dueling with each other, whilst Liam's voice has never sounded quite so assured as it does now. 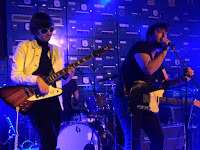 They finish with She, the song that's given them such a boost recently with the patronage of Clint Boon amongst others, and it's immediately evident why. There's hints of early Inspirals in this, a garage band gang undercurrent to it, particularly when it veers off into the distance in the refrain. 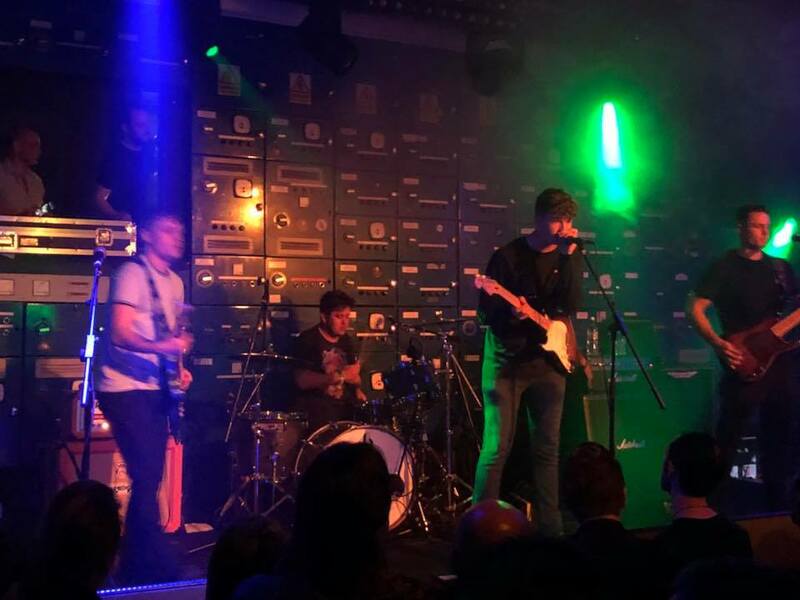 With the debut album under their belt and ready to release and with performances like this, Control Of The Going are set primed for a big 2018. Control Of The Going played Family, Sell Your Soul, Love You More, War Crime, Star and She. Next up are Urban Theory, the new kids on the block. 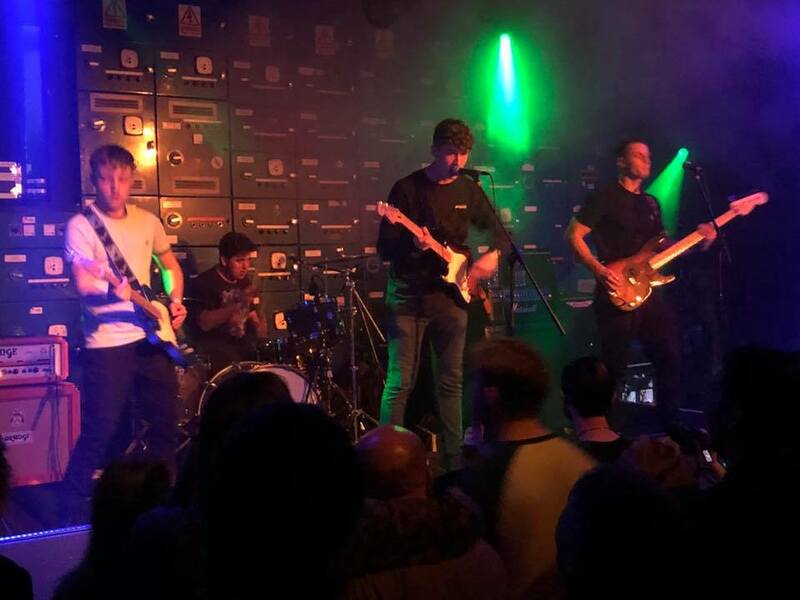 They're only just over a year into their existence, but already have a growing following they've picked up through relentless local gigging and a couple of incendiary singles that talk to their age group about the trials and tribulations of growing up in the modern world. Right from the start they make their intentions clear that they're not fazed by playing this venue so early in their career nor by the fact that a large proportion of this crowd are old enough to be their parents. 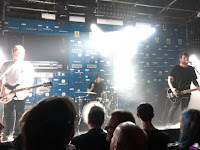 Their style is very direct, stop start, a flurry of blows pummeling the crowd in a frenzied assault on the senses and it's relentless through the half hour of their set. Most of the songs last two and a half minutes, the perfect length to make an impact and leave the listener wanting more. Guitars dart here and there on the likes of Snowstorm and Peculiar Method, but things take a turn two thirds of the way through Heels In Your Hand when the song turns volte face into a reggae-influenced stomp. It's brilliantly oblivious to all the rules of songwriting, how you should structure these things, but Urban Theory don't seem to care for any niceties, they're from the hard side of town and they want you to know who they are. Mandy is a revelation though, the sort of song that can make a band for life and one that they'll never be able to stop playing however sick they get of it. Its chorus "I want to slowly fade away" is primed to be sung back by thousands of kids before they descend into a heaving mass. Despite Alex's requests for the crowd to show some movement, it doesn't quite do that tonight, but the older audience is impressed. 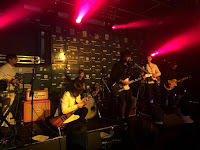 Knickers and Fishbowls N Headfuckers are their two singles so far and they do reveal a love of early Arctic Monkeys, but it's the songs around them that show that they've already moved on so far in their songwriting as new songs False Delivery and If Only It Was A Fun House which is sandwiched between them demonstrate. They finish with Weekend Offender, their most recent single, and the Gorilla crowd is impressed by these young upstarts, who one guy who's old enough to remember tells us remind him of The Clash. 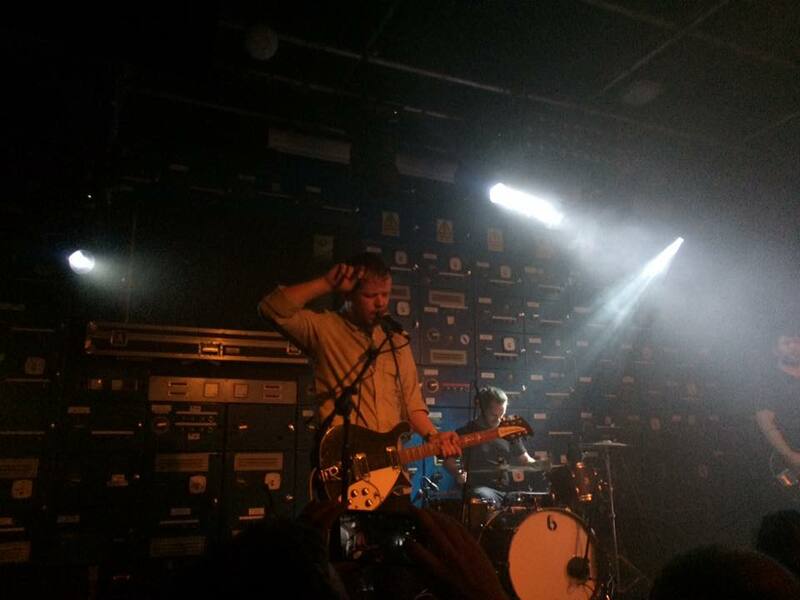 Of all the young bands coming out of the city at the moment, they've got to be close if not on top of the pile. 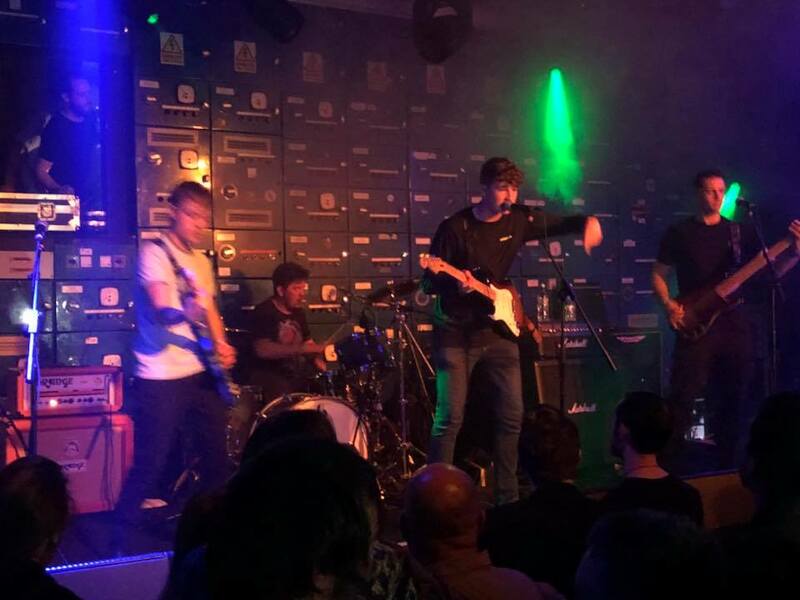 Urban Theory played Snowstorm, Peculiar Method, Heels In Your Hand, Mandy, Knickers, False Delivery, If Only It Was A Fun House, Fishbowls N Headfuckers and Weekend Offender. It is undoubtedly Ist Ist's night though. They're here with little fanfare, none of the media attention or hype that many bands at their level have come with. They're here on word of mouth, driven by their explosive live shows that simply blow unsuspecting audiences away. And tonight is the biggest one of the lot, an unquestionable triumph of music versus everything else that calls itself the business. There's no shiny videos, glossy photos, social media games at play here, Ist Ist exist because for forty minutes they take people to a different place, a different world where chaos, utter chaos at that, reigns supreme. Ist Ist batter you, Ist Ist bruise you and leave your hearing unbalanced for days after, but you leave with a massive grin on your face, exhilarated and even more in love with them than when you went in. 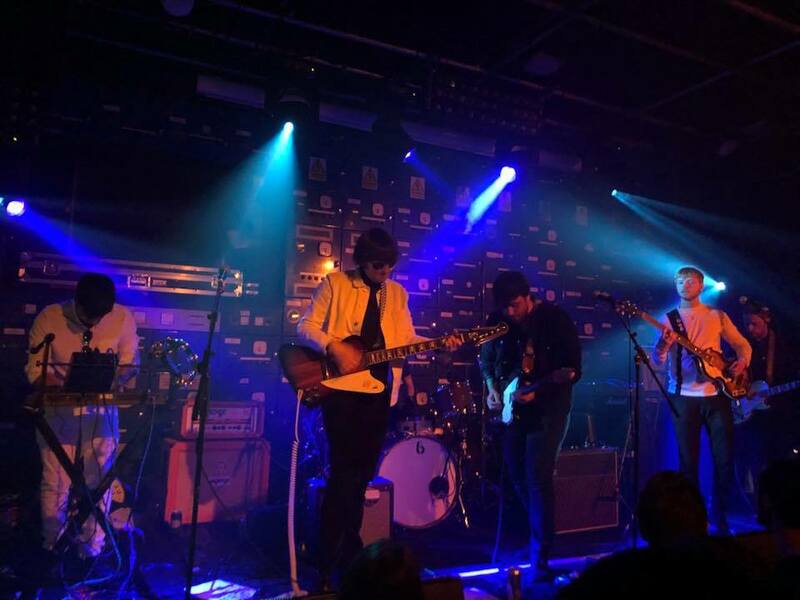 In a week where Liam Gallagher sold 103,000 copies of As You Were and the revival of rock and roll was proclaimed, anyone in the know in this city is fully aware that there's a storm brewing in this underground scene that's becoming an unstoppable hurricane. Ist Ist are at the very eye of it. Whether it be Adam's deep rich baritone that one minute is surprisingly soothing, like when he's romancing his wife in the verses of Emily, to the gutteral piercing scream he lets out in the chorus and at the very end of the final song Diversion, Andy's bass lines that are so razor sharp they threaten to slash you into pieces or the tribal relentless pounding of Joel's drums that form the preliminary call to arms to fight the good fight. They've stealthily amassed a quintet of singles over the past eighteen months - Silence, White Swan, Right Before Your Eyes, Strangers and Night's Arm - that form an impressive start point for anyone wanting to understand Ist Ist and see past the moronic and lazy Joy Division copyist tag they've had attached to them by a few (idiots). Each possesses a chorus of such ferocious intensity, amplified live, that can terrify the weak-kneed and leave those of a tougher disposition foaming at the gills in excitement. Emily probably surpasses the lot of them too, a terrifying declaration of love from Adam to his wife. There's much more to them than that though. Ghost, 7 and the set-closing Diversion, complete with a refrain that threatens to deafen anyone within 100 metres, are much more experimental in their nature. But, like all great bands that make the breakthrough, even without the immediacy of an earworm chorus, these songs fill this place and you can't help but think they'll grow even more the bigger venue you hear them in. Things Will Never Be The Same Again, a one-line repetition of the title, feels like the world is about to end as both band and singer call upon the apocalypse as the song leaves a trail of devastation in its substantial wake. They indulge us with a two minute short sharp blast of Rats, a song they think isn't representative of what they're writing, and whilst they're right in that respect, the delirium it creates in the crowd, as two gentlemen in rat masks wave around toy rats by the tail, can't be something that's easily dismissed although Adam tells us at the end "there'll be no more of that". This is an unquestionable triumph. For a band that refuses to play by any notion of cool or the games you cringe at other bands for partaking in (thus actually making them cooler), for a promoter who has the balls to put them in a venue of this size when their biggest sell out to date was a third of the size and for the fans in the room whose love affair with these three awkward buggers is threatening to become an outbreak in the city and beyond, this is the sound of something stirring in the bowels of town, a beast awaking and not cowing down to what our sedentary supposed cultural taste makers tell us to click on and follow or trying to recreate faded past glories for one more time and one more payday. You need to find Ist Ist before they find you. Ist Ist played Silence, Ghost, White Swan, Emily, 7, Things Will Never Be The Same Again, Rats, Right Before Your Eyes, Strangers, Night's Arm and Diversion.